Are Danny Manning and Josh Pastner long term answers? As we move into February begins, the real run for NCAA tournament positioning begins. Teams like Duke and Virginia will be playing for #1 seeds. Louisville, UNC, Virginia Tech, Syracuse and FSU will work on seeding. Clemson and NC State will try to get in to the Big Dance. Wake Forest and Georgia Tech are two ACC teams, that at no point during this year looked like they could make the NCAAs. Wake Forest and Georgia Tech out of the NCAA discussion? Well in what’s become commonplace in recent years. Their fans will have to find something else to do in March besides watch their teams in the NCAA tournament. Wake Forest has 1 NCAA appearance since 2010. Georgia Tech has none. In the non-conference portion of their schedule, Wake Forest already had losses to Houston Baptist and Richmond. Georgia Tech had a double digit home loss to Gardner Webb and a mediocre Georgia team. The two schools have a 25 combined losses, and mired at or near the bottom of the ACC standings. If you take this year in account, you will have 8 combined years of coaching between the two without a single NCAA tournament win. Neither school has won a tournament game since 2010, which was 2 coaches ago for both programs. I don’t believe either Manning or Pastner will be the guys to turn these programs around either. Manning is one of the greatest names in college basketball history, but in 5 years at Wake Forest the program seems stuck in neutral. Following the disastrous Jeff Bzdelik era, it was hoped Manning would right the ship. In year 3 of his tenure he reached the NCAA tournament and went 9-9 in the ACC, but last year had an 11-20 (4-14) season. It seems like every month another player was transferring from the program. I understand in patience, but isn’t 5 years long enough to get a gauge on the direction of a program? I think so, and I believe Wake Forest fans are already thinking about coaching candidates. Georgia Tech fans may still give Josh Pastner a little more time. This is only his third year, he inherited a mess from previous coach Brian Gregory, but the writing is on the wall. It’s probably just a matter of time before Georgia Tech moves on from Pastner. The Pastner era started out with hope. In his first year, he produced several surprise upsets, and an NIT finals run. By year 3 or 4 Georgia Tech should start to feel like they are moving towards the NCAA tournament. With a total whiff on every top target of the 2019 class in the early signing period, and a team that’s built more like a mid-major talent wise the Yellow Jackets seem years away from the Big Dance. 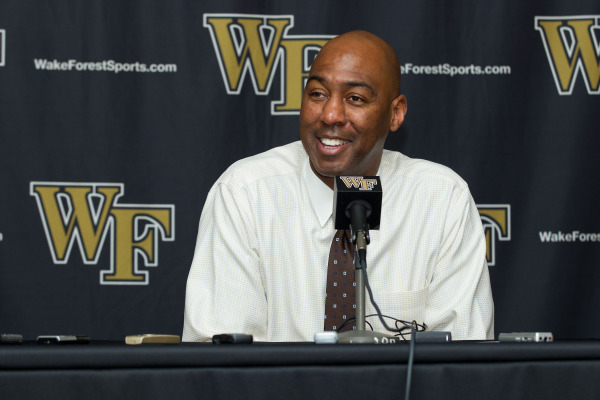 Danny Manning could be gone by the end of the year. Josh Pastner probably gets the rest of this year and next. In the rugged ACC the two just seem over-matched by all of the conference’s great coaches. There’s always the issue of buyout, but if Wake Forest or Georgia Tech want to make the NCAA tournament in the foreseeable future their ADs will get creative in fundraising over the next 1-2 years. I don’t see either starting the 2021 season in the ACC. Hopefully for Wake Forest and Georgia Tech fans I’m wrong. This article was originally published at http://www.AllSportsDiscussion.com. If you are interested in sharing your website's content with SCACCHoops.com, Contact Us. Comments on Are Danny Manning and Josh Pastner long term answers?